Tilted Too Far? A. N. Wilson's "Queen Victoria: A Life"
The review has been arranged and illustrated for the Victorian Web by Jacqueline Banerjee. All images other than the first are from the sources specified, rather than the book under review, which is, however, attractively illustrated. Click on the images to enlarge them, and sometimes for more information about how they can be reused. Front cover of the book under review. 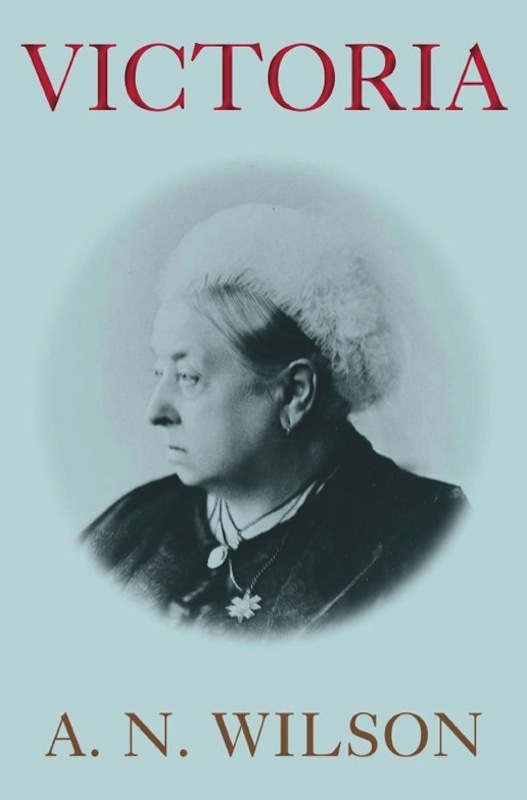 According to the blurb, this new biography of Queen Victoria (2014) is exhaustively researched and definitive. Fortunately, it is much pleasanter to read than the words "exhaustively researched" suggest, but it is not without its weaknesses. This is principally because it is marked throughout by Wilson's admiration for Queen Victoria, mixed, as he admits later, with awe. He shows considerable empathy for his subject in all the travails of her long life. It follows that his biography refutes many of the long-standing negative impressions that some of us might have of Victoria. The inescapable risk in doing so is that the book might tilt too far in the other direction. Whether it does or not, the individual reader must decide. Wilson follows a conventional structure with a largely chronological thread. Just occasionally the narrative goes ahead to retain coherence on a particular theme and it is not always immediately obvious when one has stepped back to cover other, earlier ground. It has not only been as well researched as the publishers claim but also draws on more than half a lifetime of Wilson's reading and reflection on the nineteenth century. He has written at least three previous books on the period. 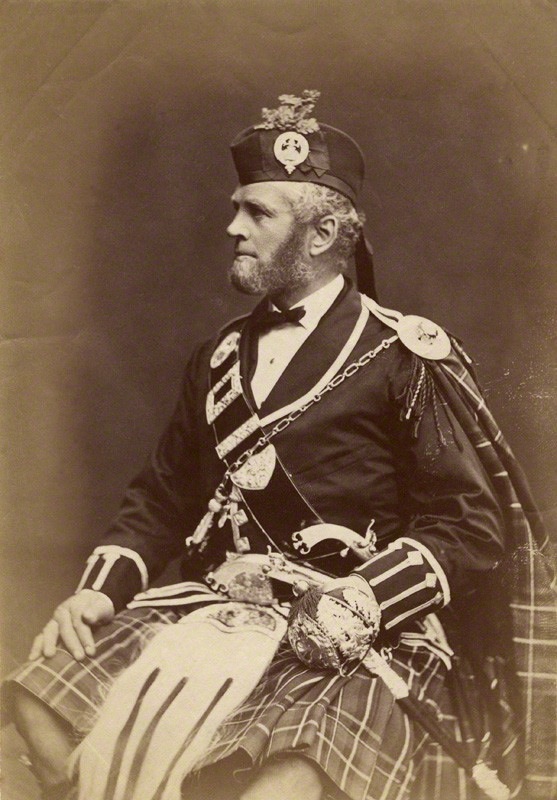 The account of the Queen's visit to Abbotsford in 1867 (295-96) illustrates how Wilson has been able to draw on his own earlier work: his critical biography of Sir Walter Scott (subtitled The Laird of Abbotsford) came out in 1980. On some of the issues where Victoria has been criticised by others – her susceptibility to Disraeli's flattery, her hostility to Gladstone, her limited understanding of the implications of the extension of democracy during her reign, her treatment of her children and particularly of her heir, her relationships with John Brown and Abdul Karim (the Munshi) which deeply upset her family, her failure to discharge her duties with the conscientiousness that we have come to take for granted in the Sovereign since before the Second World War – Wilson is either sympathetic to the Queen or less critical than he might have been. He does not, however, attempt to defend Victoria over the affair of Lady Flora Hastings, a lady-in-waiting to the Duchess of Kent. Lady Flora died of a malignant tumour in 1839 which had led to gossip that she was pregnant. The Queen's insistence on a medical examination seems harsh, especially as it revealed that she was a virgin but did not detect that she was already terminally ill. He is also justifiably critical of her unwillingness to make some changes to the court when she asked Peel to form a government in 1839. Even here though, reasonably enough perhaps, he points to her inescapable immaturity. More questionable is Wilson's leniency towards the Queen in the way she behaved towards the Prince of Wales. One senses that Wilson shared the Queen's view that his behaviour was deplorable. There is no extensive treatment of the relationship and therefore no real defence of the criticisms elsewhere of Victoria's complete refusal to prepare her son for the heavy responsibilities he would bear after her death. If you have been reading this book from its beginning, you will have been noticing that this is one of the most remarkable of all the remarkable features of the Queen's character: the idleness, which in the 1860s and early 1870s drove Ministers to despair, and at times appeared to threaten the very existence of the British monarchy. This quality might have been seen by others in a less kindly light. Of all the things that the episode reveals, the Queen's capacity to forgive is arguably not the most obvious. There are occasions too when a compulsion to be interesting or provocative leads to judgments that are hard to defend. In May 1859 Victoria's mother was seriously ill. The Queen was deeply upset. Wilson uses the occasion to discuss the mother/daughter relationship. In his pleasure at challenging the received wisdom about the relationship Wilson goes too far: "For all of a sudden, the most important relationship of her life was seen to be, not her relationship with her Angel, Prince Albert; and not with her children; but with her poor spurned mother" (235). "Important" needs an unusual definition to put the Duchess ahead of Albert and their family in her concerns. On the other hand Wilson admires the way the Queen used the powers that remained to her and sought to influence her governments, with some success, in the areas where democracy had given the authority to her Ministers. Incidentally, Wilson's description of Salisbury as rivalling Derby for the title of the cleverest Victorian Prime Minister (292) seems to fit rather better in a parlour game than in a serious book. John Brown, © National Portrait Gallery, London, by kind permission (NPG x87207). It is, on the whole, a careful, balanced approach to this episode of the Queen's life. 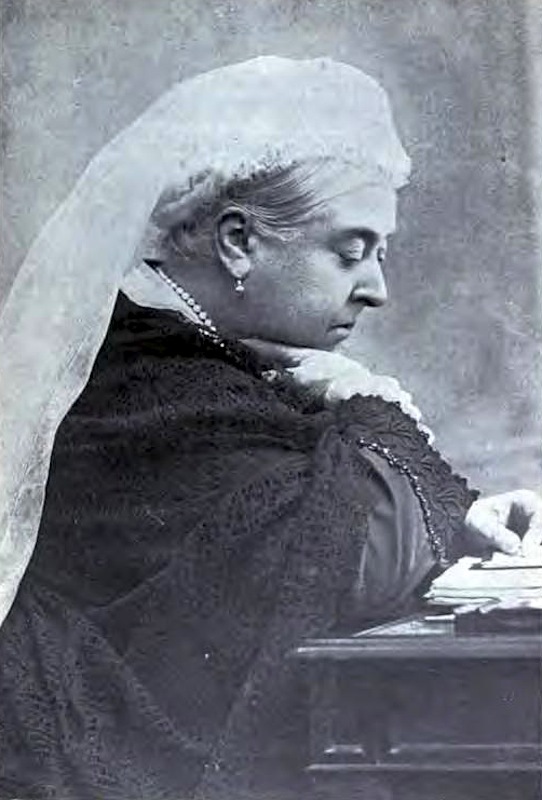 Queen Victoria, in the frontispiece to Dame Millicent Fawcwtt's Life of Her Majesty the Queen (Boston: Robarts Brothers, 1895) contributed to the Internet Archive by Harvard University. Few people will read the 575 pages of this biography without putting the book down, but Wilson's lively and committed engagement means that they will take it up again with pleasurable anticipation. 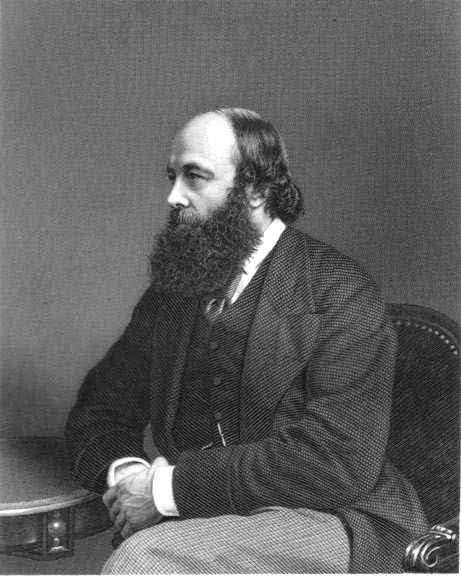 There are occasional slips — one example is that Lord Salisbury replaces Lord Derby as Foreign Secretary on a couple of occasions (pp. 382 and 384). As for the publisher's claim that the book is definitive, that remains questionable. Some years and one or two more biographies of Queen Victoria must come along before that can be accepted. 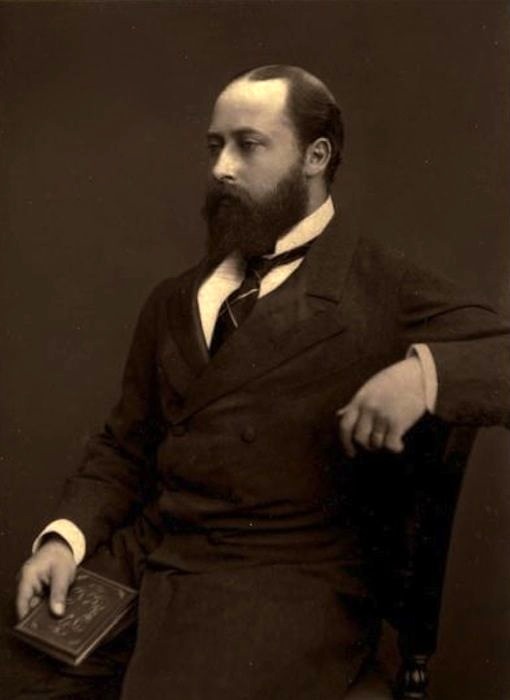 Wilson, A. N. Victoria: A Life. London: Atlantic Books, 2014. 642 + xiv pp. Hardback. £25. ISBN No. 9-781848-879560.